We love dining at bars, but we also love great food. During a couple of outstanding dining experiences at Da Vinci on Columbus Avenue, we noticed that seats were often available at the modest bar tucked in the back of the spacious room. We also appreciated a humane approach to acoustic design that, rarity of rarities, allows conversations to be heard across tables. 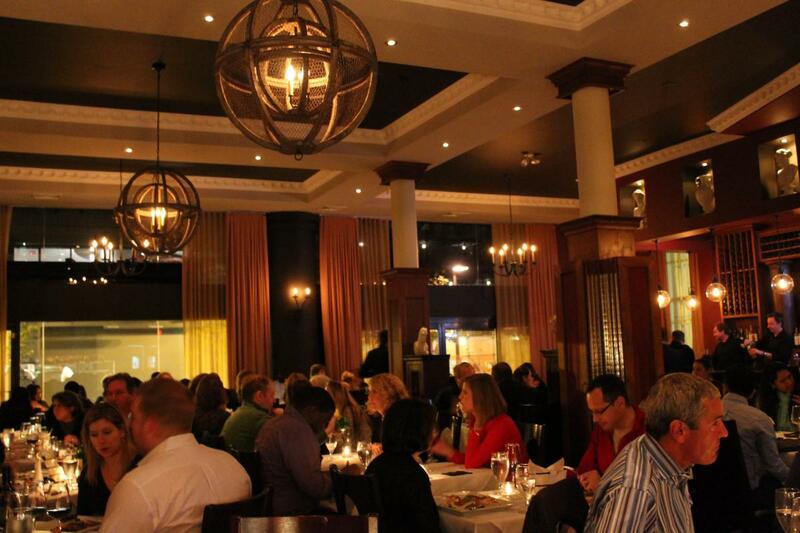 Add an ideal location straddling the Back Bay and South End, and Da Vinci is unbeatable for the celebratory dinners (graduation, Mother’s Day, etc.) that take place in Boston each May. But was it also a superior bellying-up destination? We decided to find out. Da Vinci is stylish, elegant, and romantic, with softly lit wall sconces, chandeliers, statuary and drapery flowing from the two-story windows. The vaulted ceilings lend a grand feeling to the room without negating its coziness. Eliminate the restraint, add some plastic fruit and a Pavarotti soundtrack, and it would feel like one of the North End’s interchangeable tourist spots. Da Vinci has style, yet is comfortable enough for those who prefer to dine in jeans. The cross-section of diners, including young couples, large families with children, and groups of older friends, reinforce the sense that all are welcome. The staff is warm, friendly, and accommodating. 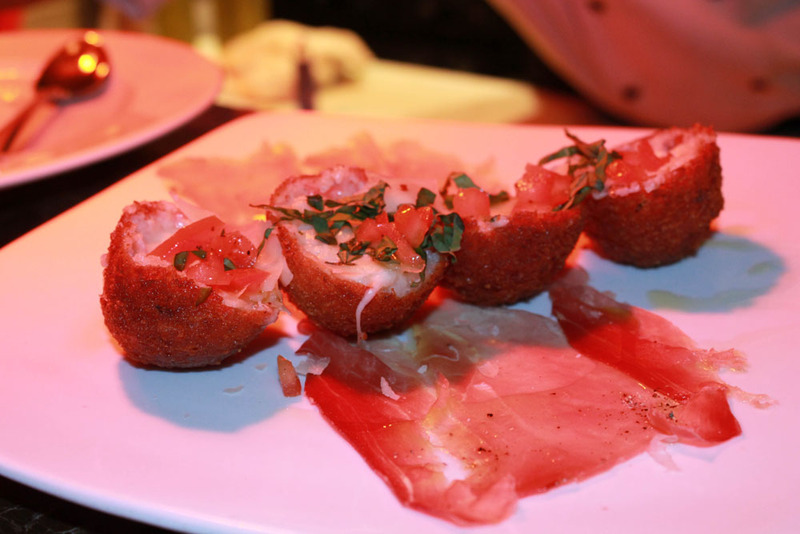 The menu meets our expectations for great dining, not to mention being a giant step beyond standard Boston Italian fare. This is no surprise, given that co-owner Shingara Singh, aka Chef Peppino, spent a decade at Waltham’s La Campania, which in our opinion, is second to none for Italian food. Perusing the menu evoked fond memories of our previous meals, including crispy arancini served on Prosciutto de Parma, a multi-colored roasted beet salad with fried goat cheese and pine nuts, pan-seared sea scallops in lemongrass sauce over couscous "risotto," and beef tenderloin in a Chianti-veal demi glaze. We were inspired to keep sampling. Choosing pasta to share posed an immediate dilemma. The Indian Fusion Masala Ravioli, with its touches of ginger and curry leaf pistachio pesto — so indicative of Chef Peppino’s fusion inclinations — was tempting; but a well-cooked ragu is an Italian litmus test, so we went with the Rigatoni Bolognese ($26) and were not disappointed. While the menu suggested a ground sirloin base, we detected a more complex mix of beef, pork and veal, slowly simmered in tomatoes and red wine, served over homemade pasta that was fresh and perfectly al dente. Both our veal and salmon entrees featured prime ingredients creatively sauced, with sides that were far more than plate-filler. 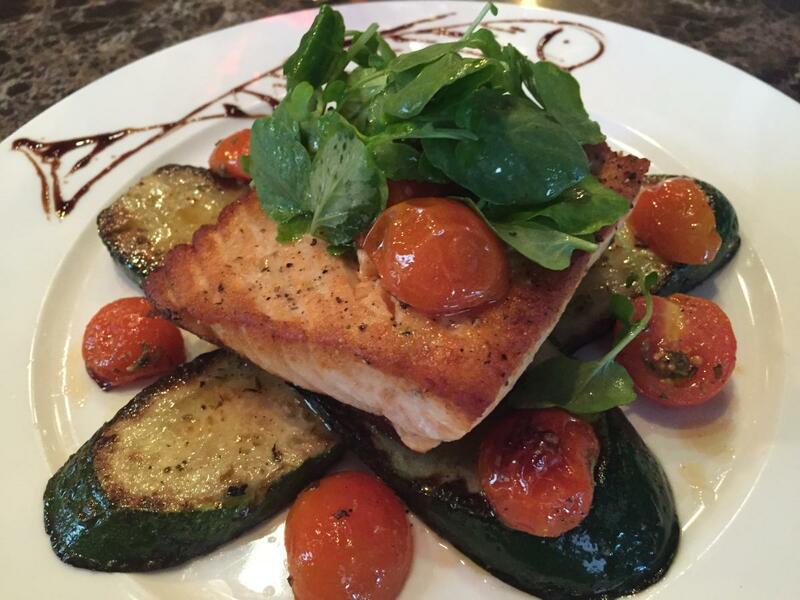 The pan-seared Atlantic salmon ($33), thick, pink, and juicy, was drenched in a sauce with hints of thyme, tarragon, and lime, and served over an equally fresh and succulent slab of grilled zucchini. This was a choice both delicious and healthy. A 12-ounce veal porterhouse ($43, pictured above) showed a similarly masterful touch in its sauce (an unexpected blend of apricot and Gorgonzola), its sides (Yukon potatoes and sautéed spinach), and the enviable, not-too-rare-yet-not-too-done sweet spot. We were glad we'd restrained ourselves from overindulging in the savory dips of pureed chickpeas and fruity olive oil that were served with uninspired bread at the start of the meal. 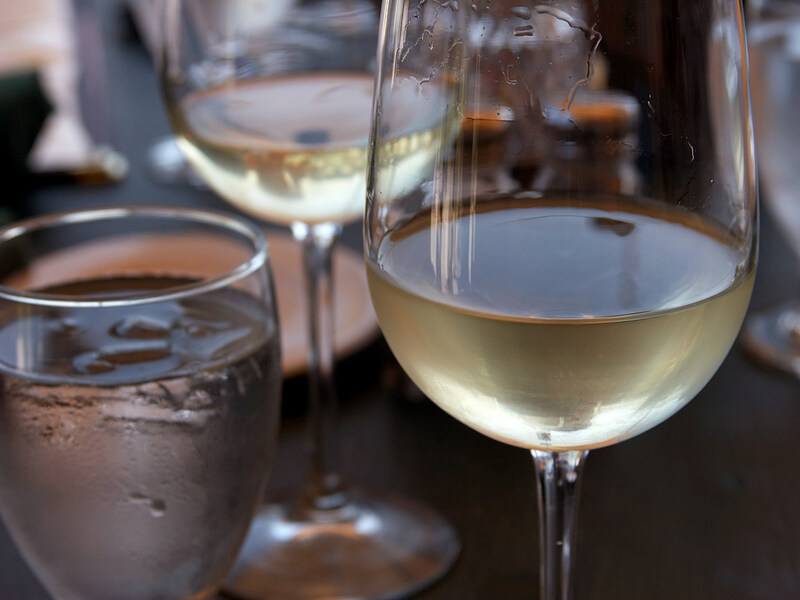 The extensive wine list focuses heavily on Italian choices from various regions. By-the-glass options are more limited. A Marco Bonafante Nebbiolo d’Alba ($14) was merely adequate, or did it just pale in comparison to a comparably priced Piedmont? Donna Laura’s Sangiovese "Ali" ($13) was more memorable, and a particularly good pairing with the veal. When we arrived after 6:00 on a Saturday evening, the restaurant was full, but we had no problem finding bar seats. Things had not changed by the time we left, as only two other couples had arrived for short stints of drinks and appetizers. Many restaurants are designed with large bars that encourage a lively scene. 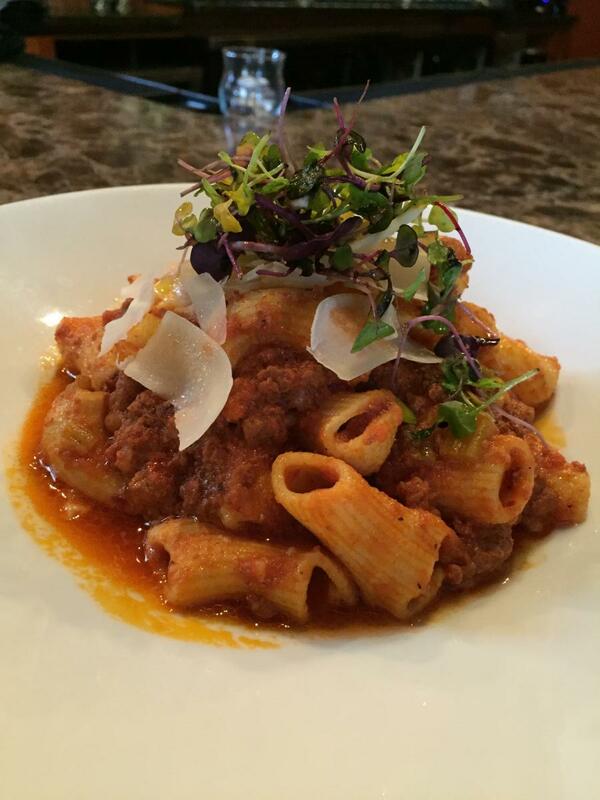 Da Vinci is not one of those restaurants, which fans of bar dining must take into account. However, the quality of the food trumps all other considerations. At a rival restaurant a week later, we found the desired barside atmosphere, but also a bolognese sauce that paled in comparison. This suggests that Da Vinci is best experienced at tables — or that larger parties can find the space to create their own belly-up ambience at the bar.